The Iwaki Auditorium is the rehearsal studio for the Melbourne Symphony Orchestra (MSO). 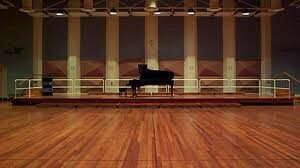 It is also used by ABC Classic FM as a recording studio and for live events such as "CFM Sunday Live". At other times, the Iwaki is also available for hire and is often used for community events and music competitions.